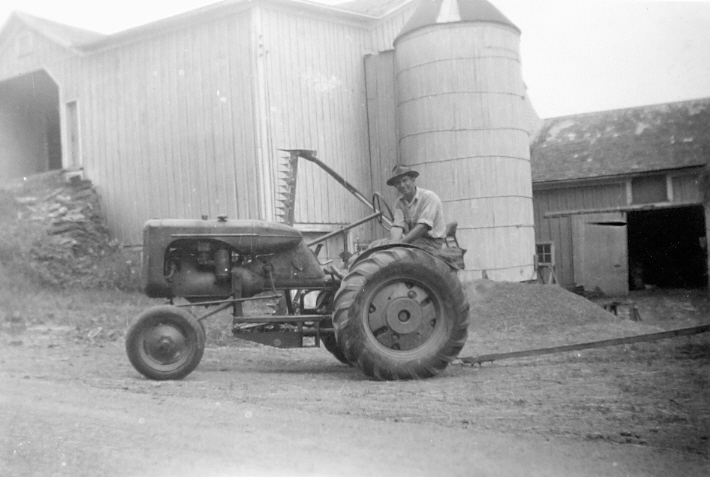 Ora Foshee, on farm of C.J. Rost, August 1943, Hobart, N.Y. Civilian Public Service, camp 97, Michigan. 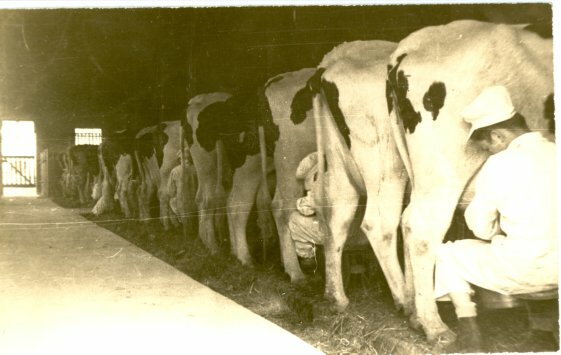 Cows in a dairy barn. The Dairy Diary was a special publication at Camp 97 which included contributions from the CPS dairy workers. CPS Unit No. 97, subunit 18, located in St. Lawrence County, New York, was operated by the Brethren Service Committee. Levi Ziegler supervised the area from an office in Oneida, New York.